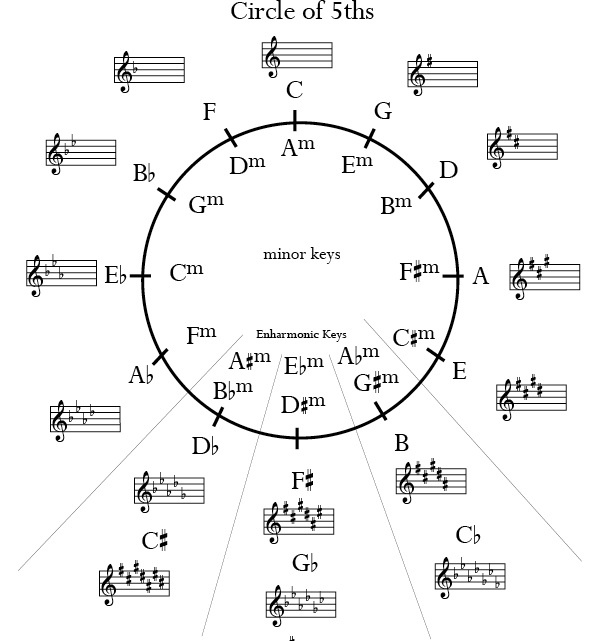 The circle of fifths is a very useful diagram and concept. It is good to memorize the order of notes in both directions, to the left it is perfect fourths and to the right it is perfect fifths. 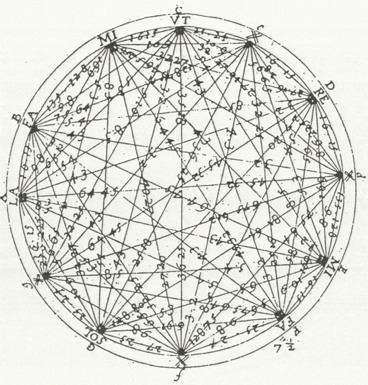 The key signature for each major/minor key is given and the relative minor of each major key is on the inside of the circle. That's a little overwhelming, however, here are a few interesting things to note. -as you go to the right, each key signature to the previous adds one sharp in this order: FCGDAEB. -as you go to the left, each note adds one flat to the previous key in the opposite order: BEADGCF. -The three keys of 6 or more sharps/flats can be in either a flat key or a sharp key. -all twelve intervals can be seen and the closer the note is to the original, the more similar sounding the note/key will be.